In the high-tech world of the modern Neonatal ICU there is no substitute for breastmilk. All over the world it is recognised that only breastmilk offers premature babies the nutrition and protection essential for their survival. When a vulnerable baby’s own mother is unable to supply breastmilk, a breastmilk bank can offer this life saving gift from another mother. Milk Matters in Cape Town is one such breastmilk bank and is devoted to saving the lives of premature babies in Neonatal ICUs who do not have access to their own mother’s milk. These babies usually weigh less than 1.5kg and they benefit immensely from the irreplaceable nutrients, growth factors and antibodies in human milk. Without breastmilk these babies have a very high risk of potentially fatal complications and, should they survive these complications, they have a high incidence of serious, irreversible complications. The two main reasons for Milk Matters supplying donor milk is when a mother is too ill to provide breastmilk for her own baby or is unable to physically be with or regularly visit her baby, bringing her own breastmilk. Donor milk may also be needed for a short time in the case of multiple births such as triplets, when the mother may initially not have enough breastmilk for her babies. Sadly some recipient babies have been abandoned or orphaned. Already the demand for donor milk far exceeds our supplies and requests from doctors for donor milk continue to increase. 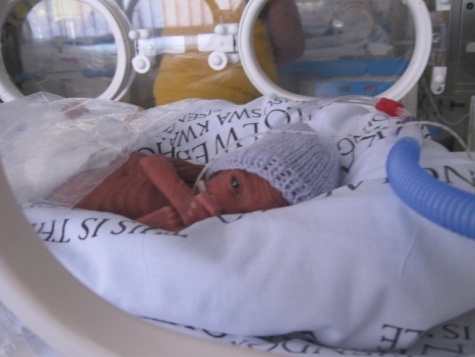 More donor mothers and more donor milk is therefore required so as to feed – and save the lives of – more premature babies. Since just 50ml of breastmilk can feed a baby of less than 1kg for 24 hours, mothers do not need to donate large quantities of breastmilk to make a significant impact on the health of vulnerable babies. Some donor mothers make once-off donations of stock-piled milk that is not required for their own baby, whilst other mothers donate for periods varying from a few weeks or months to a year or more. Milk Matters makes donating as easy and convenient as possible for donor mothers, including providing donors with sterile containers. These can be collected from one of the 28 Milk Matters depots, where batches of frozen milk can also be delivered. Ensuring the safety of the donor milk we provide is of paramount importance to Milk Matters. To facilitate this, all donor mothers are screened, the donated breastmilk is screened and the breastmilk is pasteurised which kills bacteria, viruses and fungi without destroying the beneficial properties of the donor breastmilk. A neonatal ICU nursing sister knew all too well the risks of formula feeding when she gave birth to a 990g baby when she was only 6 months and 4 days pregnant. However all her attempts to produce enough breastmilk failed. “I knew formula was not even an option”, she said, gratefully accepting donor milk from Milk Matters for her tiny son.